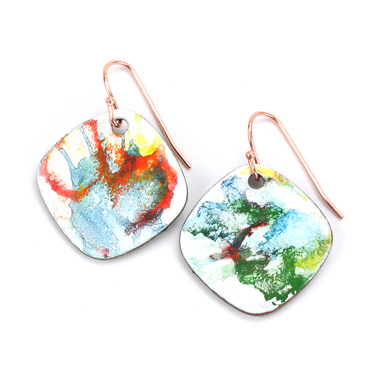 Enameling on copper is a hot technique! Steven James shares his expert methods so now you can add color to metal right at home. Students will learn to use a butane torch to apply enamels to copper blanks as well as a variety of design techniques. 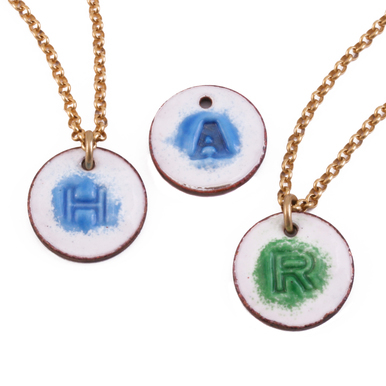 This class is a comprehensive introduction to the wonderful world of enameling. This class has a running time of 44 minutes. 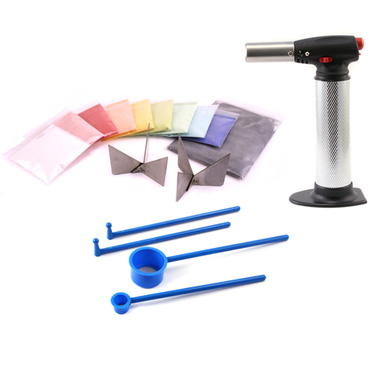 For more enameling supplies check out Beaducation's Enameling section. Thompson Opaque Powdered Enamels -Enamels must be compatible and have the same COE (co-efficiency of expansion) so they do not crack or break off the copper base. Enamel must be lead free. I have been a fan of Beaducation for several years now and wanted to expand my jewelry making business to include other unusual creations. This video of Torch Enameling by Steven was just the ticket to add something new. As usual, the video is well produced and informative! I ordered the necessary products to complete what I will need to create. Thanks Beaducation!! I love the classes plus they are FREE!! This was an AMAZING video. I loved it and learned so much from Steven. Steven's style of teaching was really enjoyable. He covered a number of terrific techniques in addition to describing the basic process of enameling. He stressed the safety aspect well and gave some good tips to use along the way. Great class! I have watched & "bought" several enameling videos. I must say this is by far the BEST one yet. He describes every step simply, concise & fully with every aspect of the procedure that makes sense & can be accomplished. Some I have watched are just too "technical" & do not make sense. I LOVED IT!! Thanks, for providing all of the videos. Your website & instructors are AMAZING!! Excellent enameling video... especially great is that it was a FREE video! He really hit on all aspects and was very concise and gave great ideas to try. Three thumbs up! Thank you very much! I loved it! I will be back for more classes. Awesome job. Fantastic teacher. Clear instructions. Very encouraging. Loved it. Terrific teacher, clear in depth instructions, can't wait to start a project. Thank you! I still cannot get over the fact these classes are FREE! I will tell my friends about this site! I've been looking for ways to add a splash of color to my wire tree scenes...OMG! Does this hit the target!! !